Below you will find an outline for a simple CV template that you can use to put together your own CV. Click on the below links to be taken to a range of free CV templates in Microsoft Word format. We hope that you found the above CV templates useful. If you want to find out more about how to write a CV including general conventions then please visit our CV Writing page. If you found the above free CV templates useful then your next step is going to be to ace the job interview! Don’t forget to check out how to write a formal letter together with this guide to cover letters. Quality CV writing is your window to a successful career. Attention to detail is of paramount importance when CV writing as it will create a first impression with your potential employer, and as we all know first impressions last! Your CV is a marketing tool that you use to communicate your positive attributes to your potential employer. When writing a CV it is important to ensure that the potential employer remains engaged, to this end the CV should be no longer than two sides in length unless absolutely necessary. These sections should be kept in the same order as above. Telephone number: It is usually a good idea to include your mobile number so that it is easier for the potential employer to get hold of you. Email address: It is vital that you include a “professional” email address. It can still be at a hotmail/msn/gmail etc. address but you must be sure not to use any colloquial terms e.g. littleminx@xxxxxx.com, hotstuff@xxxxxxxx.co.uk etc. It can be difficult to register your exact name as the chances are that it will have already been taken but there are plenty of permutations that you can use by placing a dot (.) or underscore (_) combination. This example is extremely space consuming and provides more details than the potential employer would want to see. By adapting the GCSE and AS Level sections to make them more concise, the potential employer can still see relevant information but it is far more manageable and allows for more room to squeeze in more relevant information in other sections of the CV. If you have a less significant qualification that is appropriate to the roll that you are applying for then it may be appropriate to include more detail in your CV. For example if you are going for an IT role and have a GCSE in IT then it may be appropriate to list the grade that you achieved for this specific subject. It is important to not only list your employment positions when writing your CV but also to give details of your key tasks and responsibilities, especially those that are relevant or transferable to the type of role that you are applying for. This section of your CV includes details of additional skills and qualifications that you have accumulated over your education and employment history. You should list any qualifications that you have acquired, for example any relevant courses that you have taken, you should also list your driving licence (if you have one) in this section. This section of your CV gives you the chance to tell your potential employer a bit about yourself. Write about any activities that you do in your free time, if you are member of any professional associations or enthusiasts clubs this shows initiative and leadership qualities. It is recommended that you avoid mentioning any activities related to political, religious or any other controversial topics as this could potentially alienate the reader. 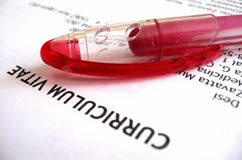 You should conclude your CV writing with a section giving details of two referees. It is recommended that you include the name and relationship that the person has/had with you followed by “details available upon request”. If you have any more questions about CV writing please contact us. Need some help with your CV cover letter? Visit our Cover Letters section.